While in Bozeman, I did my very first maternity photoshoot with Jon and Paige who are expecting their baby girl in less than a week. I have to admit that I was a bit nervous at first, but these two made the shoot perfect. They were both so relaxed - laughing and joking the entire time - which made my job all that much easier. Plus they're gorgeous and were constantly smiling. They're so excited for their little arrival and I just know that they're going to make amazing parents. They look GREAT! Paige and Jon will LOVE them. Good job!! Cute Beanie!! I love the one where he is kissing her tummy and the one where he is laughing at her. Wow! Those turned out like you've been doing it for years! Yay Coffey! 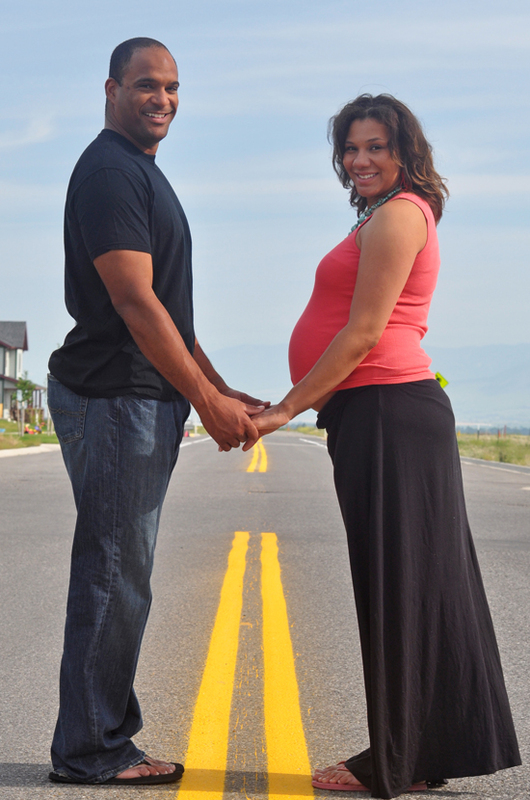 Nice work on your first maternity shoot! The last pictures is so great. What a cute couple!